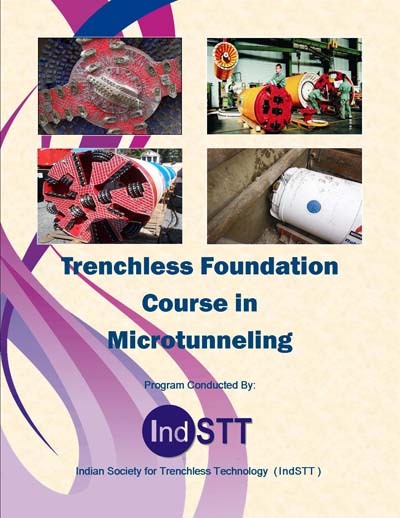 Trenchless Foundation-Microtunneling is a program developed for providing the founding knowledge of essential topics required for Microtunneling Technique. The program is structured to assist the trainee in the successful execution of Microtunneling Project Design & Construction. Working experience backed with the knowledge acquired through this program shall be quite useful to the practicing Trenchless Professional in becoming self reliant in the selected sphere of technology application. This program will also provide the much required technical inputs to the new entrants and other engineering fraternity members interested in various issues related to Microtunneling Projects. The course comprises of 12 different lecture modules on various topics of Microtunneling Technology. Module contents have been developed through extensive research of technical books, documents, research and project reports, and other relevant sources, and evaluated on sound engineering practices. Upon conclusion of this course the trainee shall have the training of basic issues of Microtunneling technique & would be expected to be capable conducting regular Microtunneling operations. Details about the courses modules are provided later. The course is designed for working professionals and the schedule is also detailed hereafter. For complete details about the course, please download the brochure from here.